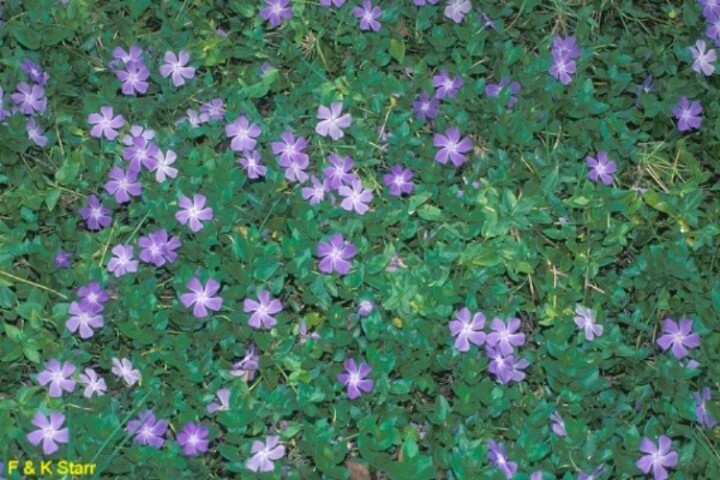 Comments: This is a popular ground cover that produces evergreen foliage and bright blue flowers. It grows well in shade to partial sunlight. Periodically plants need to be clipped back as a grooming practice to keep plantings tidy and rejuvenated. Plantings respond favorably to an annual application of fertilizer. Remove heavy leaves from plantings growing under trees.